The warm weather is finally here! 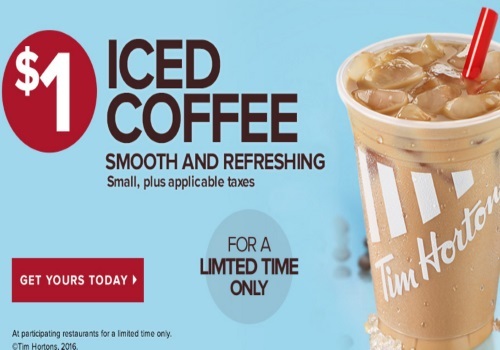 Tim Hortons is offering their Small Iced Coffee for only $1 for a limited time! This offer is valid at participating locations for a limited time only. Check the menu before ordering to see if your store is taking part.